TheExperts have the knowledge and experience to build a low voltage wiring solution to fit your lifestyle. Our solutions will not only meet your needs today, but also be ready for what tomorrow may bring without having to cut into your walls. 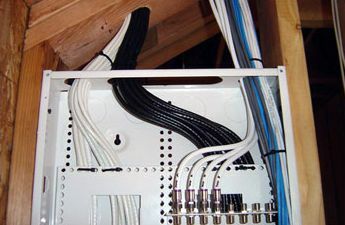 Each low voltage wiring system we install is neatly labeled and fully documented. This eases future upgrades and troubleshooting. Every project is tested and confirmed through assessment of point-to-point connectivity and signaling speeds using state-of-the-art devices.